Here we see the Hudson Counter stool with a bright white powercoated steel frame with a walnut seat that offers and clean and chic designer bar stool look for your modern, tailored space. 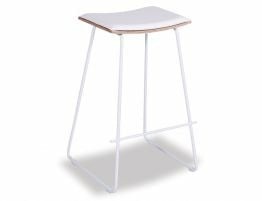 Our Designer Yvonne Potter inspired Stool White with Oak Wood Seat expresses an on-trend, tailored look perfectly suited to your modern space. 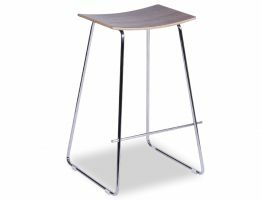 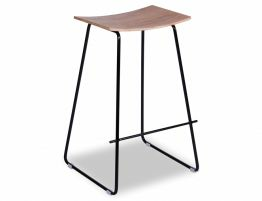 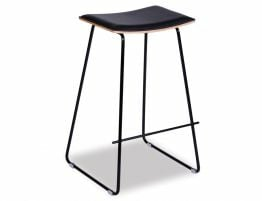 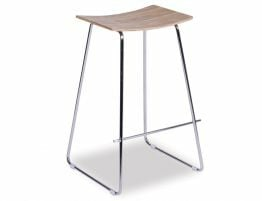 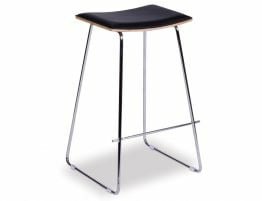 This contemporary Hudson breakfast barstool offers a sloped walnut seat and paired with a stable steel frame in white complete with footrest and glides.